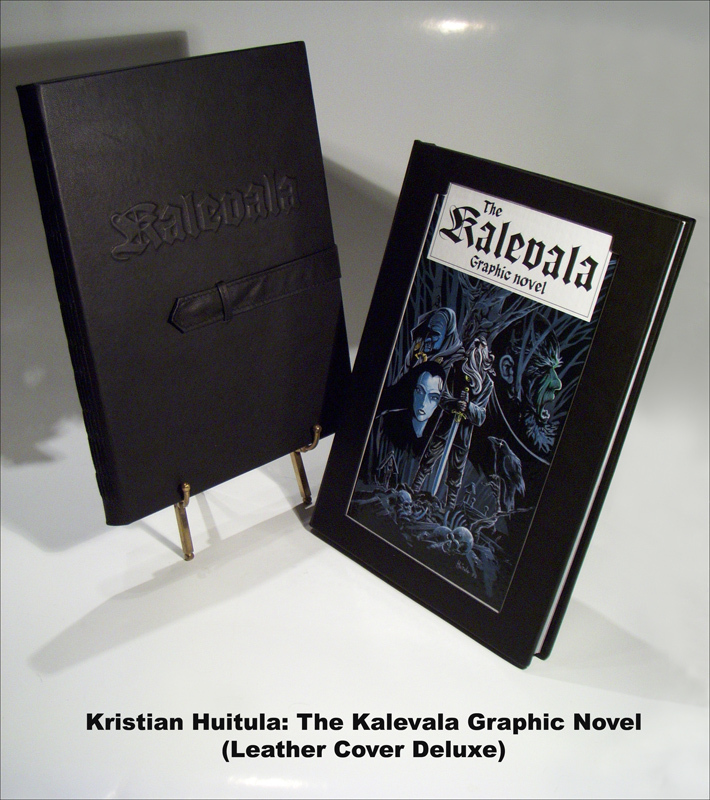 The Kalevala Graphic Novel Deluxe-copies are hand-bound in Finland, using reindeer leather (color: black). Art binding handmade by Terhi Hursti. The original book cover is shown inside the window of the leather cover. Black reindeer leather. Kalevala text on the cover is a relief rising from the surface, a leather belt fastens the pages. Black reindeer leather.